The Jameson Crane Sports Medicine Institute is the Midwest’s largest and most advanced sports medicine facility. Conveniently located just off State Route 315 at the Ackerman Road exit, it is the­ home of innovation and discovery in helping people improve their athletic performance, recover from injury and prevent future injuries. The 116,000-square-foot, state-of-the-art complex integrates research, teaching, clinical care and performance training under one roof. Learn more about sports medicine services at Ohio State. Thirty individuals representing three generations of the Columbus-area family came together to help fuel the Jameson Crane Sports Medicine Institute at Ohio State. 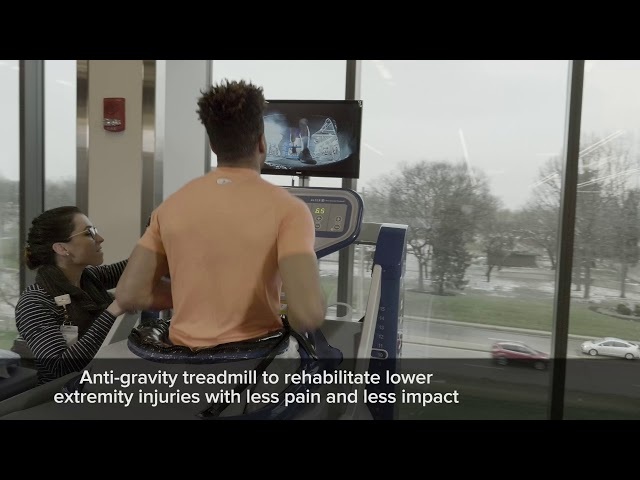 The Jameson Crane Sports Medicine Institute: a single, convenient location delivering comprehensive sports medicine services for the athlete in all of us, from recreational to professional. Free surface-lot parking in designated spaces across the service road from the building entrance, with some handicap spaces in the lot and also directly in front of the building.